We've covering all the bases. When it comes to finding support while exercising, not all sports bras are created equal. So we decided to take a range of styles through our own, at times vigorous sweat tests to discover the best features for your purposes. For most of us, cost is a significant factor, and while we found a pleasing assortment of affordable sports bras at the lower end of the pricing spectrum, adding performance and tech fabric to the game definitely upped the ante and increased the SRP. Start combining athleisure details with performance fabric, and well, your bra becomes a more costly member of your closet — but it also potentially earns its keep by doubling as a party crop, or by adding a cute splash of straps under your favourite cold-shoulder sweatshirt for guaranteed post-workout chic. 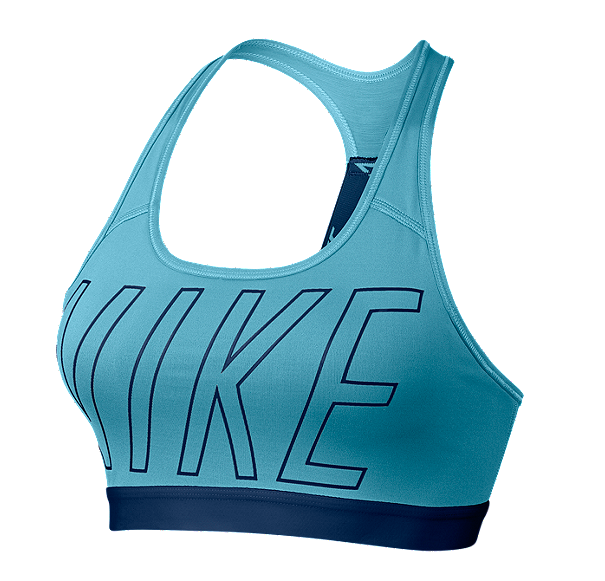 Our recommendation as to the best way to choose a sports bra? Figure out your budget and where you'll be wearing your bra most often, and go from there. Bras designed for high-impact activities, like running and intense cardio, are likely going to have a tighter, performance-related fit. Keep in mind that bras designed for high-impact activities, like running and intense cardio, are likely going to have a tighter, performance-related fit, while those made for lighter impact movements are often going to feel softer, potentially even comfy enough to sport all day. Aesthetically we're super into the black-on-black logo'd thick elastic straps with the low-cut back of this latest member of the Nike Bra Collection, and we appreciate the expansive size range, which runs from 32A to 38E. The Nike Indy Logo Bra delivers in performance and fit; we took it to our morning yoga class at Downward Dog and kept in on for post-yoga smoothies because we just loved it that much. Lululemon calls this bra revolutionary and we'd have to agree that their years of testing and researching the design paid off. The individual built-in cups (no uniboob here) and sleek, feminine look fit so well, we wore the bra under a thin t-shirt to the office for a modest, comfortable shape. Performance-wise, the Enlite bra lives up to promises. We ran and yoga-ed in it and the fabric was lightweight and perfectly supportive. We love that Lulu offers this bra in a wide range of sizes (32B to 38DD) and that they're standing behind the Enlite's performance with a sweat-test guarantee; love it as much as they do or they'll take it back. We tested this high-impact sports bra from Titika during a YYoga Flow Class and were extremely satisfied with the results. The Bandidos bra held everything in place, keeping us well-ventilated and secure, thanks to the subtle mesh detail around the base and the thick, yet stylish straps. We'll be reaching for the Bandidos anytime we want a full-support fit, with a trendy twist. We were immediately impressed with the wearable technology plus functional design of the Smart Bra from Lole, which allows you to track your heart rate seamlessly in your bra. We tested the high-impact bra on its own during a vinyasa class at Downward Dog, and loving its look, comfort, and support. Then, we snapped on the Mi Pulse heart rate monitor and took the bra for a literal test run to try out the tech specs. We synced the device to our phones via Bluetooth and then used the iPhone Health App and Wahoo Fitness to track our results. An investment piece for sure, but for serious fitness aficionados with some bank to spare, we'd recommend this sports bra/Mi-Pulse combo on all fronts. We took this bra for a morning spin session at Soul Cycle and fell in love with the compression fit and flat seams — it seemed to even help us enjoy the ultra-enthusiastic instructor yelling affirmations at us while we biked. Although our dismount may have lacked grace and precision (thank goodness for dimly lit studios), the dri-FIT technology kept us cool, and the colour-blocked logo design had us feeling stylishly put together; we'd easily consider this sports bra a workout wardrobe staple. Impressed by the accessible price point, we took this bra through the ultimate sweat session, a Hot Flow class at Union Yoga Studio, to see if we'd get the desired bang for our buck. As to be expected, the hot class was exhilarating and sweaty, and our Techfit bra was the perfect yoga partner; entirely supportive and enjoyable to move in, and thanks to the Climacool ventilation, cooling down and drying out was a breeze. We're adding bonus yoga points for this bra being made of 70 per cent recycled polyester. Leave it to Lulu to come up with a literal game-changer with their Pace Perfect bra, which lets you store your phone in the racer back panel. 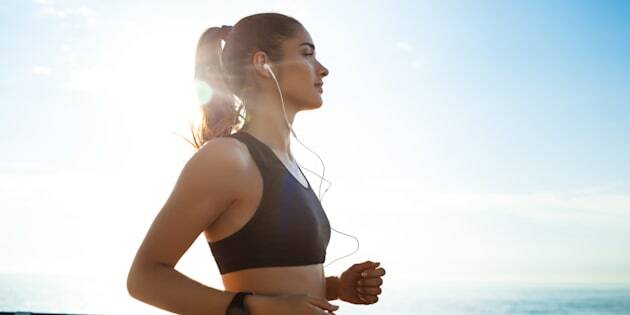 We took it for a hands-free test-run, and true to specs, our device stayed snug — even our ear buds were comfortably threaded, which meant we could enjoy our run and a thorough cool-down stretch without skipping a beat. 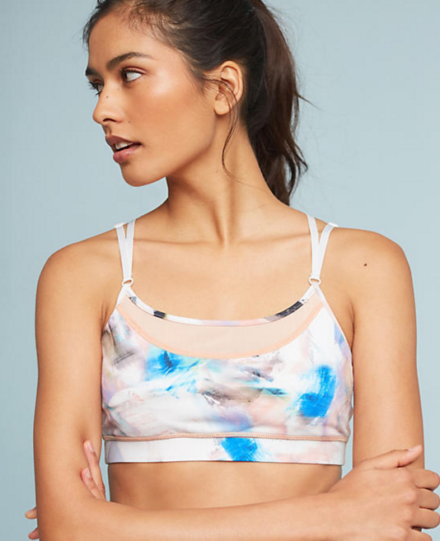 We took this pretty watercolour-esque Vimmia bra to an inspiring Barre workout at 889, and were impressed with how the delicate straps moved with us as we attempted to flow gracefully through a full body workout involving a lot of sweat and movement. The stretch fabric did its job, as did the extra layer of mesh keeping us covered and in place, and although things got intense as we searched for our inner ballerinas, this sports bra kept us feeling cool and looking pretty. Thankfully we had the presence of mind (a.k.a. suggestion from our amazing 889 guide) to follow our barre workout with a deep stretch session, so we signed up for an 889 Yin yoga class and took this bra with us. The stretchy sueded cotton lycra made for the softest support during deep restorative twists and backbends, and the extra coverage upped the cozy factor, and delivered an on-trend layered look. Joe Fresh leads the pack in affordable pricing (you can find this style currently on sale for $9.94), and is a go-to amongst our curvier friends (props for the reco @Meredithshawtoronto), thanks to their inclusive range of sizing, and functional, comfy fit. We slipped into this seamless, two-tone racerback for a stint on the treadmill and some squats and lunges, and were supremely satisfied with the results; support and style all in one budget-friendly package. We're more than a little obsessed with this bra; the adjustable straps and T-back make it particularly comfortable for a variety of activities, and the Climalite fabric wicks moisture away from the skin. We tested it out with a brisk power walk and some kickass core in the park, and were so into the softly supportive fit that we kept the bra on after our workout topped with a tank, to run our morning errands. We're super into the cute, thin-strapped design of this low-impact bra from Titika; we wore it for our home yoga practice, topped it with a cold-shoulder sweatshirt for a "Flashdance"-inspired post-workout look, and reached for it again to wear under a flowy, low cut romper. 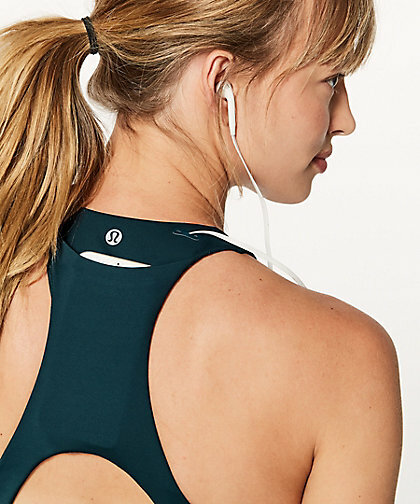 We'd say the style details on this sports bra make it a valuable multi-purpose wardrobe piece suited for the studio, and for wherever else our day takes us.